​Wolves welcome Leicester City to Molineux on Saturday looking to bounce back from their recent 3-0 defeat away at champions Manchester City. Meanwhile, Leicester fell to a 2-1 home defeat to Southampton in their last outing, as speculation mounts over the future of Claude Puel. The visitors head into the match two points and three places above Nuno Espirito Santo's side in eighth, having lost their last two matches in all competitions, with the pressure increasing over Puel's perceived negative style of play. On the other hand, ​Wolves are eager for a first win at home in the ​Premier League since beating Bournemouth in mid-December. The hosts head into Saturday's showdown with the bonus of having no players currently out injured, the only casualty facing Santo is defender Willy Boly, whose red card against ​Manchester City rules him out through suspension. Who will come in to replace the Frenchman is not known yet, ​as Boly had been an ever-present for Wolves this campaign, playing every minute of Premier League football thus far. For Claude Puel and ​Leicester, only Daniel Amartey is missing for the Foxes ahead of the clash, with the versatile player having been out since November after undergoing surgery on his ankle, with the Ghanaian not expected back until March. Overall, of the 112 meetings between the two sides, Wolves hold the advantage, winning 42 of the encounters to Leicester's 38. The two sides have already faced each other twice this season. The Foxes claimed a 2-0 victory over Wolves in the reverse fixture back in August, while Puel's men also recorded a penalty shootout victory after a 0-0 stalemate in the Carabao Cup third round. 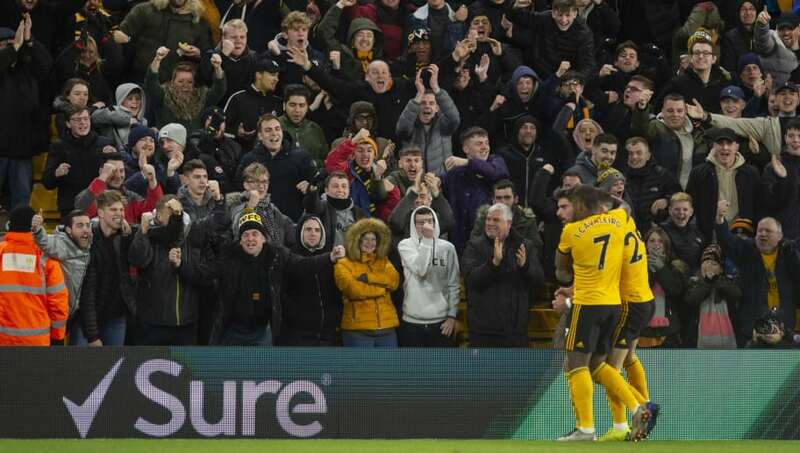 Both sides have endured indifferent form of late, Wolves have won two and lost two of their last​ five matches, claiming an FA Cup scalp over ​Liverpool in that run, as well as a comeback 3-1 victory over ​Tottenham at Wembley. Leicester have lost three of their last five matches, including poor home defeats to Cardiff and Southampton respectively, while being knocked out of the FA Cup in shocking fashion, losing 2-1 to minnows Newport County. Similarly to Wolves, however, they secured impressive victories away at both Chelsea and Everton, as Puel faces calls for him to be replaced at the King Power Stadium. With both sides undergoing inconsistent runs at present, this one is tough to call. The pressure is more on Leicester at the moment, with fans unhappy with Puel's style of play, as reports emerge that he could be relieved of his duties should Leicester fail to obtain a positive result on Saturday. On the other hand Wolves will be without ever-present Willy Boly in defence, so will need to drop either Leander Dendoncker into a defensive role, or move Matt Doherty into the back three. With Wolves likely to dominate the ball, you feel this game could well be tailor-made to fit Leicester's style. With a Wanderers back three lacking pace, ​Jamie Vardy could relish the opportunities available to him at Molineux.